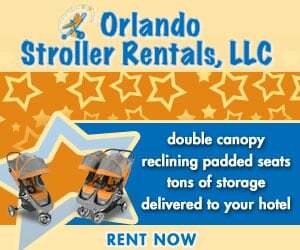 What stroller should i buy for Disney?! Discussion in 'Disney for Families' started by jliucci, Aug 9, 2018. We have the large Chicco Bravo stroller for our 2yo. I dont think we want to be lugging that heavy thing around Disney and on the buses, but i do like its storage and cup holders, etc. What are you parents using for your toddlers? I would like something light wait, inexpensive but still comfortable for the little one. I have and am bringing a summer infant 3d lite. It reclines which helped for comfort, folds easily, small under storage compartment so i bought a stroller organizer that can basically be a mini diaper bag/ hold wipes, a bottle, diapers, my phone . The stroller has 1 cup holder on the side. This. We have had this one since our 4 1/2 year old was 2. Our 18 month old used it in Disney this past June, and it was great. Love my uppababy g luxe. I know it’s not cheap but it’s worth the extra cost to have the recline, sturdiness, lightness, bigger shade, etc. And my 5.5 year old can still ride in it. If you think of the extra money over the use life of the stroller, it’s not that bad. We have always just rented one from an off-site company. But my lightweight one is a MacLaren Quest. Huge fan of Maclaren.... see if you could buy one used? If you have, or are planning to have, children other than the 2 yr old, I would recommend the Joovy Ultralight Caboose. It is a sit and stand style that is lightweight (I think 20 lbs) and folds down nearly as small as a single stroller. I don't know if this is a consideration at all, but I highly recommend renting one. We've used several of the companies that delivery right to the resorts and have always been really happy. We've used several of the City ones- City Mini, City Select and one of the City Double strollers. They are comfy, lay back pretty far, come with parent cup holders and raincovers. Another vote for the Uppababy G-luxe. If you use the travel bag that goes with it, Uppababy will replace or repair any damage the airlines cause to the stroller. I like to have my stroller at the airport so renting is not an option for my family. We are going to rent one from an off site company for our 3 year old. She doesn't really need it in the airport but they will deliver and pick it up from your resort which is convenient. The ones you can rent at the parks are not comfortable for sleeping and I know she's going to fall asleep here and there and I'd like her to be comfortable. I was very happy with the J is for Jeep umbrella stroller for our past trip. Fit my 40 pound kid no problem, folded up with ease, and it cost less than a 4 day rental. Now we have it for our next trip as well. When we brought our own, Maclaren Triumph ... it is their umbrella stroller. Comfortable for the kids, the handles were high enough I didn't feel hunched over like with some umbrella strollers and it folds up tiny. I love my Baby Jogger City Tour. It is cabin size so that you can still use it in between your flights. My husband slightly damaged the wheel when he forced it to fit to our small trunk on one of the trips. I can still use it but the push is not as effortless as before. And I am thinking of getting another one! (edited) Oh and it comes with a raincover, which is pretty handy during travelling in all kinds of weather!